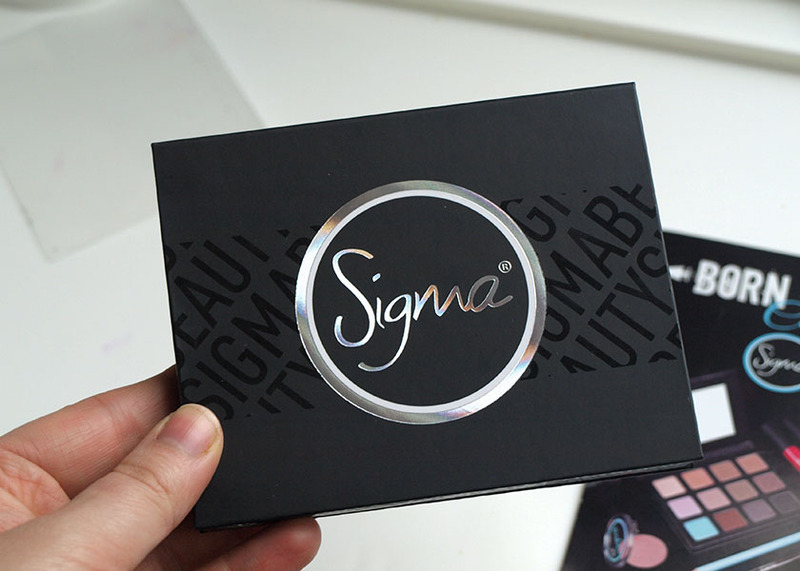 I declared my love for Sigma eye shadows many times and I think that they are very underrated and don't get enough coverage on British blogs. 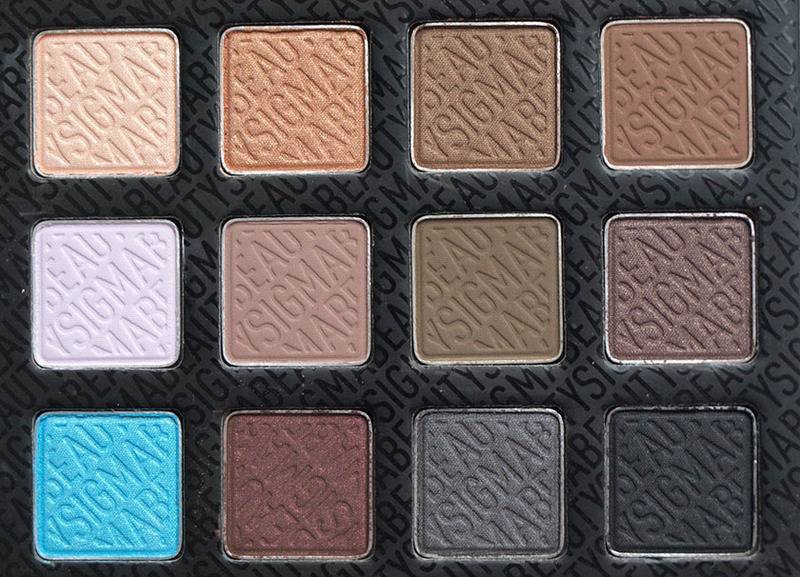 I am not going to lie - nothing beats Urban Decay, but Sigma is definitely in my top two when it comes to the formula of eye shadows and I use their stunning palettes very often. 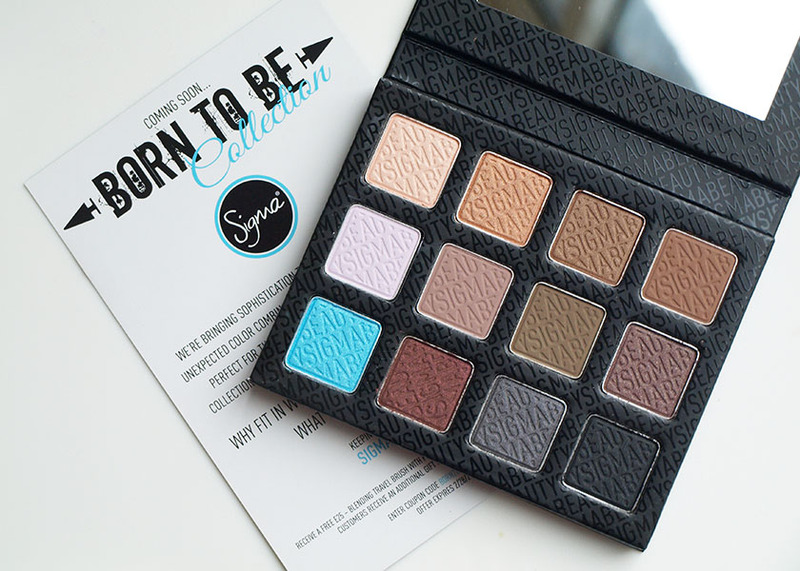 The latest addition to my stash is the Smoke Screen Palette from Sigma's new 'Born To Be' collection and it really is a beaut! 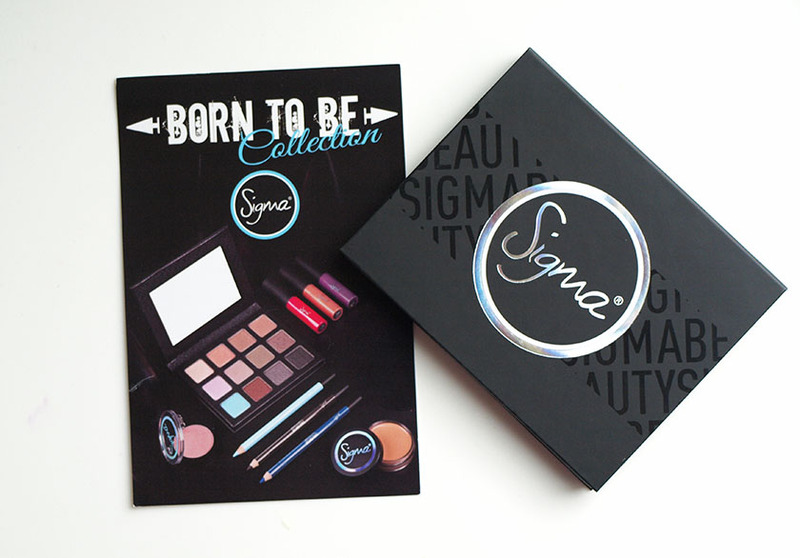 'Born To Be' Collection was created to 'bring sophistication to the sultry, smokey eye with unexpected colour combinations' and it consists of 9 products in total: the Smoke Screen Palette, 3 Eye Liner Pencils, 3 Lip Glosses, a Lip Concealer and a Blush. You can see all of them on the little leaflet below. Used with a primer, the eye shadows lasted on my eyelids all day without any creasing and even the matte shades didn't fade or crease at all. There is very minimal fallout during the application, but I think it might be due to the embossing on the top layer of the product and it shouldn't be a problem after a couple of uses. 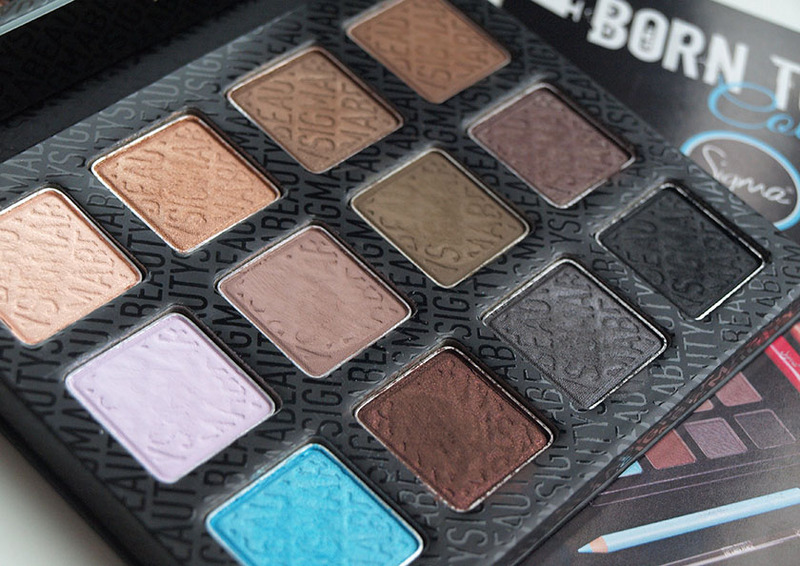 Overall, I really like the 'Smoke Screen' Palette and the full 'Born To Be' Collection looks very appealing to me. Perfect mixture of neutrals, with a hint of colour. The lip glosses look stunning and I would love to try the purple and pink. 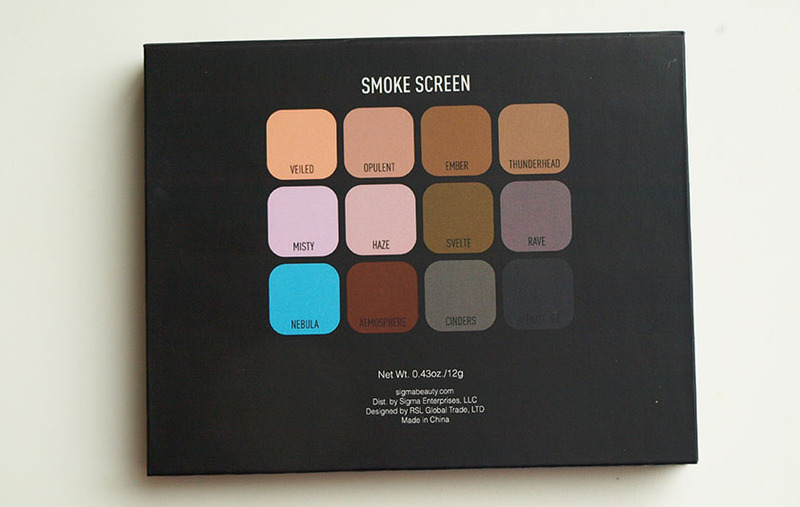 The palette will be available from www.beautychamber.co.uk from the 10th of February.